Once a review is created by an HR Manager, the Manager can then schedule a meeting, set up the review, and provide feedback to employees. The Reviews tab houses all the reviews you, as a Manager, are responsible for completing, along with all completed reviews. 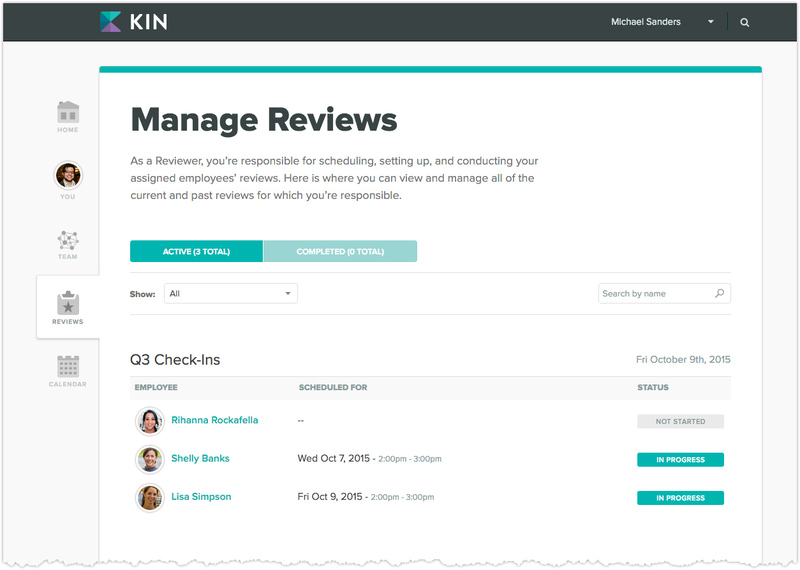 You have the option to schedule a meeting with your employees via Kin. The meeting will be added to the calendar in Kin, as well as the Google Calendar subscription. Do note that the meetings appear as events and there currently is no way for employees to decline the meetings. You can also leave a message on a review to send any instructions or comments to your employees about the review – such as an agenda for the meeting, or guidance on objectives. 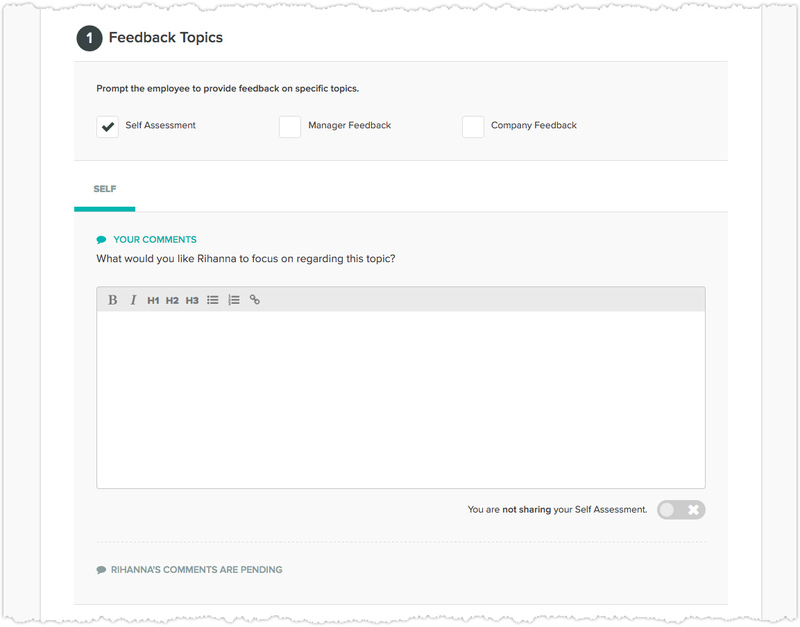 Note that your notes/feedback left under Feedback Topics will be visible to an employee once you save the page. 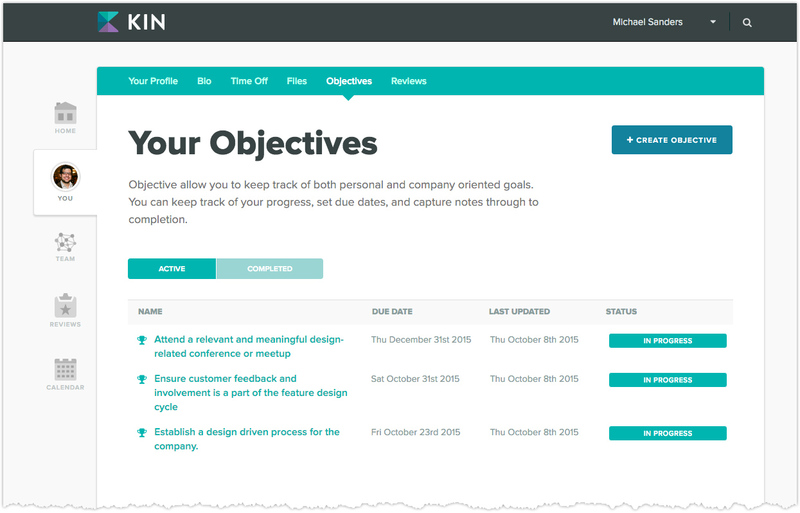 Next up in a review is the Employee Objectives section. Any objectives which are marked as in-progress will automatically show up in the review, where you both can view and/or update any active objective’s progress notes. 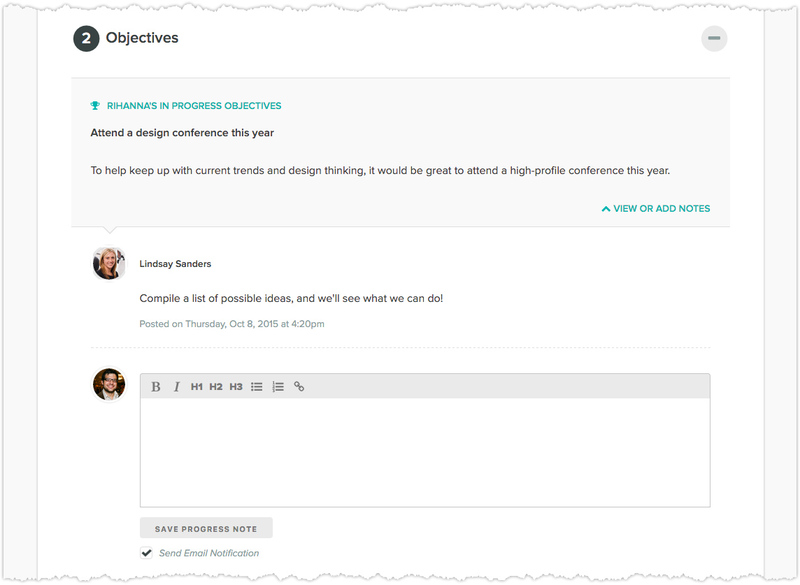 Note that employee objectives are created in the Objectives section of each employee’s profile. Finally, any files the employee needs to complete or review can be uploaded. Employees can also upload files they’d like to share for their review, such as certifications, 360-assessments, etc. Now, you’re ready to save the review. Once saved, employees will receive an email notification letting them know they have an upcoming review and that they can start working on their feedback. 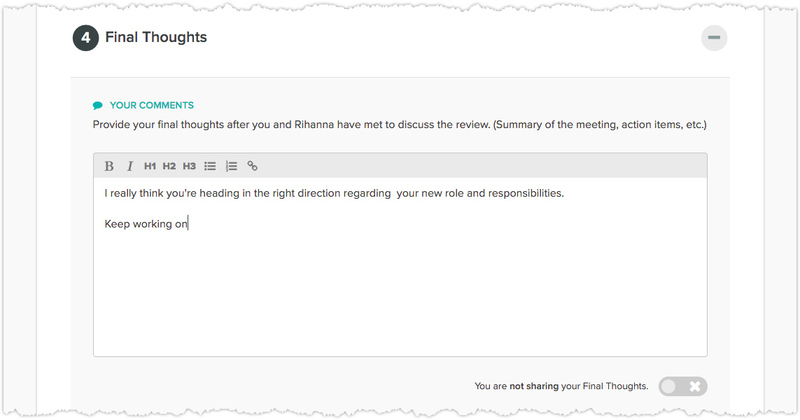 After meeting, you and your employee can add any final comments and then sign off to confirm the review’s wrapped up. Once both sides have signed off, the review will be marked as complete and become a locked, read-only page for reference.